There are a few different genres of celebrity selfies. There’s the “look at me I’m at Coachella” selfie. The “award night” selfie. The “I’m bored on set” selfie. Then there are the ones that celebrities post to remind their fans that they, too, are people with real emotions, real faces and sometimes even real bodies. From no-makeup selfies to inspirational bikini posts, these vary in sincerity. Sometimes, seeing a celebrity in a bikini can make you feel like you’re in Hollywood just because you, too, own a bikini. Sometimes it just reminds you that “the camera adds 10 pounds” is a myth for a reason. 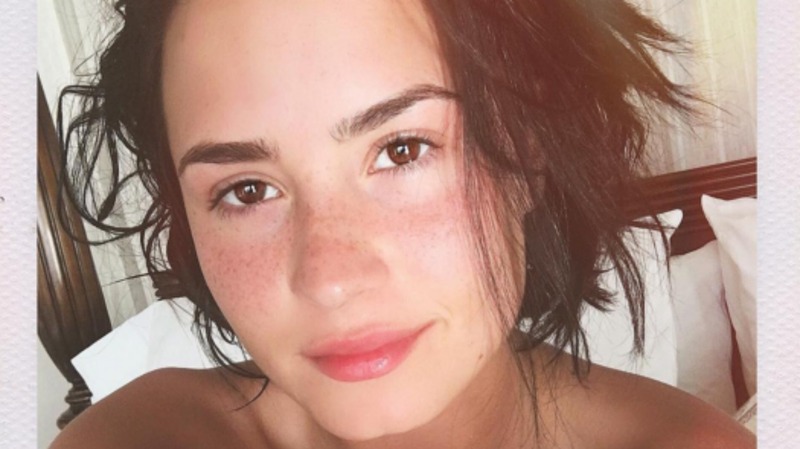 But here comes Demi Lovato, the queen of body confidence and honesty, with her latest positive photo shared to Snapchat. Just in time for summer, she writes about her own body insecurities. And what’s more human than that? Lovato has been open about her issues with body confidence in the past. “Embracing yourself is important and I wish that all women would realize how beautiful they are, inside and out,” she said in an interview last year with BuzzFeed. We love that she takes the time to spread that message for others as well as herself.